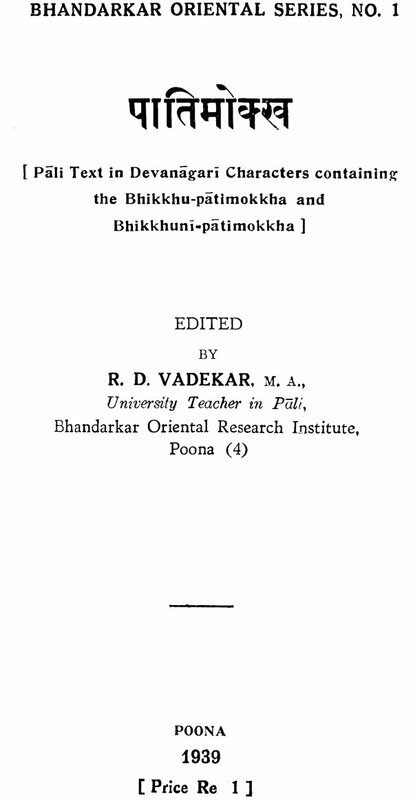 The Pali Patimokkha, which contains the regulations for the outward life of the Buddhist Monks and Nuns, has been rightly looked upon as the oldest and the most important of the Vinaya texts. 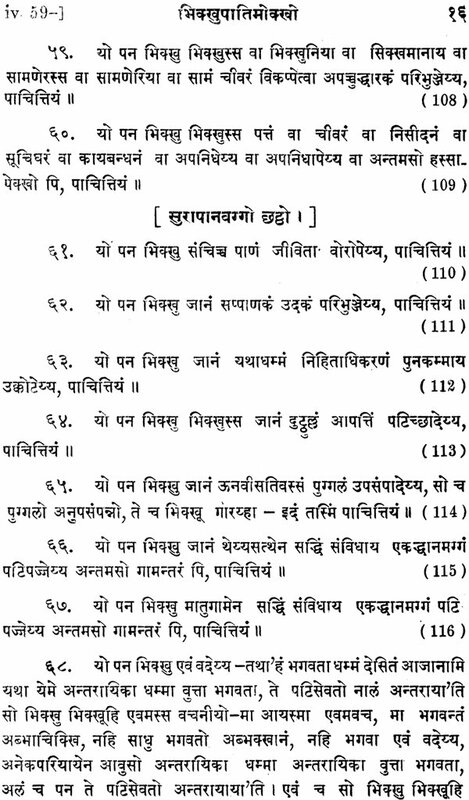 It is divided into two parts which very closely resemble each other- in fact several rules are identical in wording- called Bhikkhu Patimokkha and Bhikkuni Patimokkha. The first contains 227 rules and the second 311. They were rehearsed every fortnight in the Buddhist Congregation, and as such were learnt by heart by all members of the fraternity. 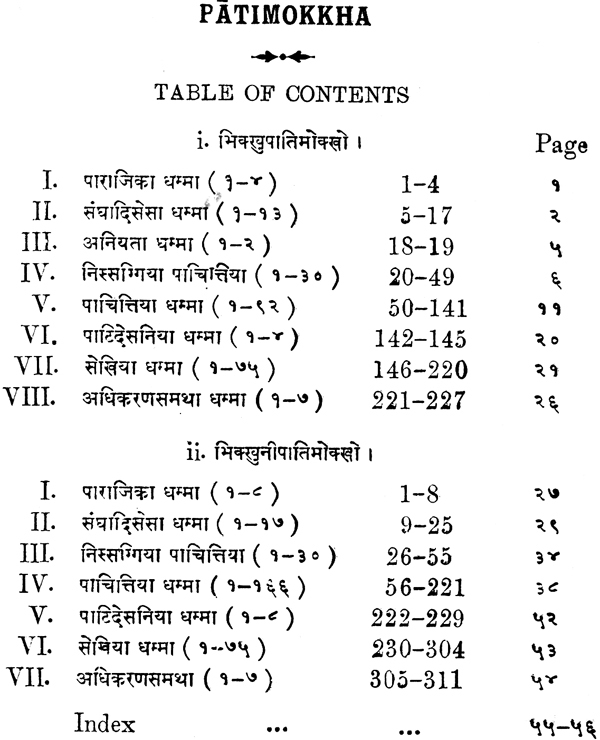 The Patimokkha has several Sanskrit versions also when the Buddhist Canon was edited in Sanskrit. The book not being available to the B.A. and M.A. 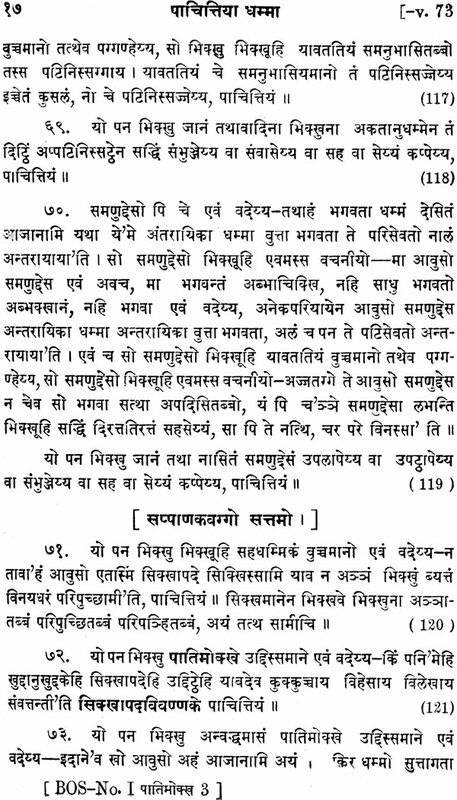 students of Pali, I have edited it here for their convenience, I had a mind to give a Glossarial Index, which would incorporate extracts from Pali Commentaries like Kankhavitarani but as I found that even after doing this, the text would remain obscure unless it was fully annotated- and perhaps translated, I have abandoned the idea for the present. Some time I mean to publish a second part containing an Introduction, Translation and Notes. Finally I take this opportunity to express my thanks to several friends, who helped me one way or the other in bringing out this edition and present this book to lovers of Buddhism. The readers will please excuse the editor for a few misprints when they allow the editor to submit that the work has been done during the scanty leisure of an extremely heavy worked life.